So you’ve got a request for an author interview and you’re over the moon. Do you wing it? Do you just talk about whatever pops into your head? While it’s great to sound natural and spontaneous, in order to make the most of your time in the sun, it’s best to prepare for an author interview. Here are five suggestions for improving your interview skills. 1. Be prepared to succinctly describe your book’s plot and characters. This may sound ridiculously simple, but if you had to describe your book in a sentence, could you? If you had to explain the dynamics between two characters, could you do describe the nuances with clarity in a cohesive manner? 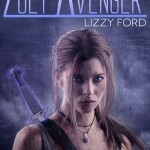 When marketing “Zoey Rogue” by Lizzy Ford, we used the quick tagline, “Buffy the Vampire Slayer meets 50 Shades of Gray.” It got our point across and inspired readers to dig further. Your interview host may not have had the chance to fully read your book so you can’t rely on their giving a description. You may only have a few moments to do the deed, so do it well. 2. Create talking points about your book. If your book was required reading in an English class, what are some questions that might be asked? Consider the transformation of your main character. How does your language enhance your character profiles? Develop at least two or three talking points, in other words, questions or topics that stimulate further conversation about your book. 3. Keep the audience engaged. Easier said than done, but the surefire way to make someone feel engaged is to ask them questions. Wait a minute…you’re thinking that the interview is about you, so why would you want to ask questions? Remember that your interview host plays a huge role in the success of your interview as does the audience. You want to be sure that you speak to them and give the host a chance to lead the show and the audience a chance to ask questions. Remember that a good interview sounds more like a conversation, not a monologue or a speech. Speaking of audience, make sure you know who will be listening to you. Before you provide an interview, find out the demographics of the show. If you’re a romance author speaking to an audience of men, you may want to focus more on the craft of writing. If your audience is primarily women, then you can discuss the nuances of your romantic story. Make sure you gear your conversation into topics that are sure to connect with your listeners. When it comes to providing an interview, you must also be an active listener. You’re likely to be excited, perhaps even nervous. To give a successful interview, you have to think on your feet and this takes effort. Take the time to listen carefully to each question and just as you did in school, ensure that you use part of the question in your answer. Make sure the host has completed his/her thoughts before you jump in to ensure that you are giving an answer that addresses their question completely. Next week I’ll provide more interview tips that Evatopia employs when advising our speaker training and author clients.